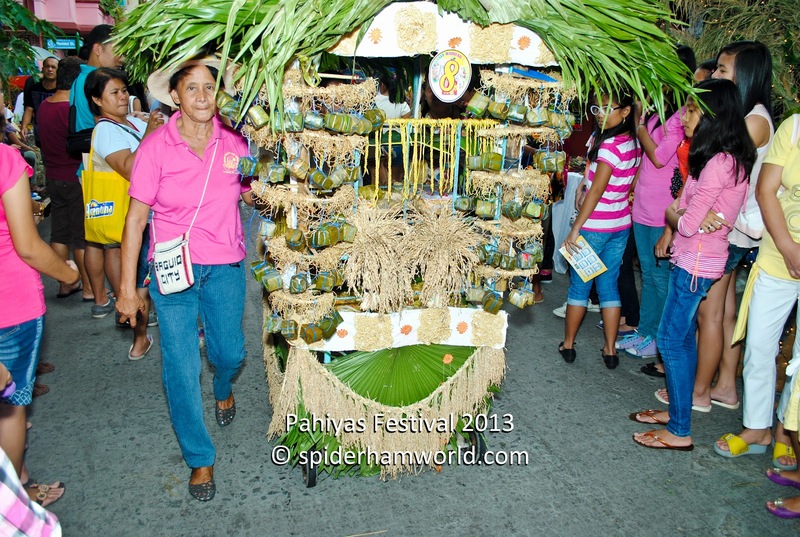 As I have mentioned on my Pahiyas 2013 initial post, I had to pause taking pictures of the houses because the parade already started and now passing on the section where I am currently at. 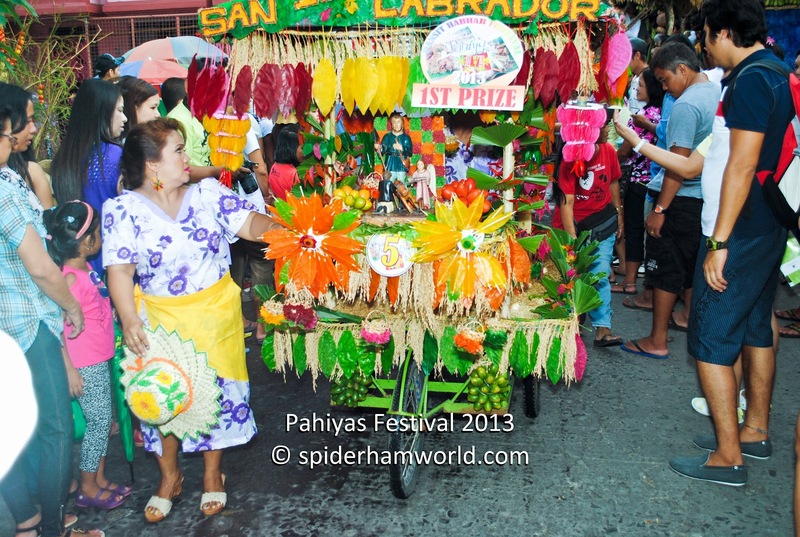 After the pageant finalist comes the cart design contest. 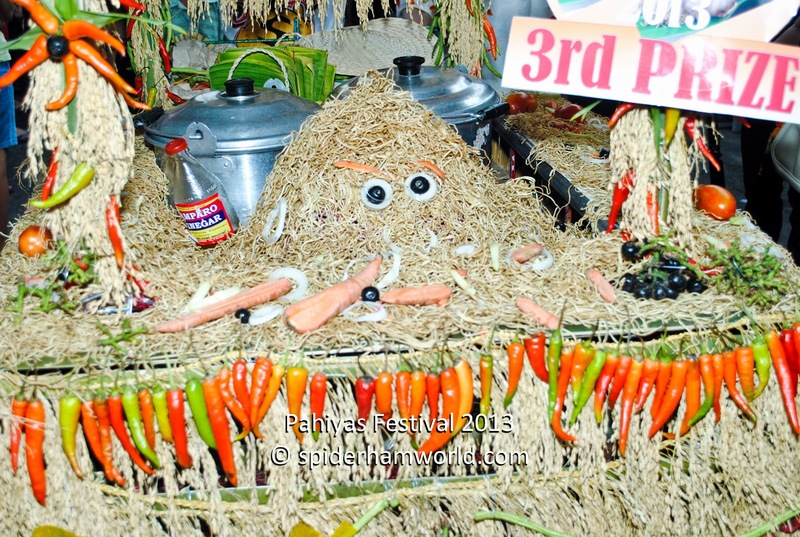 It showcases cart adorned with pansit habhab and its ingredients. 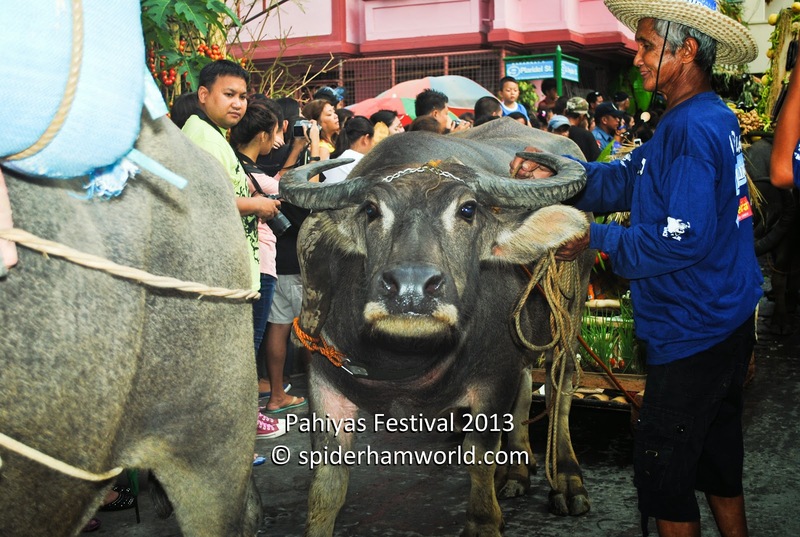 After that, the parade of carabaos followed. 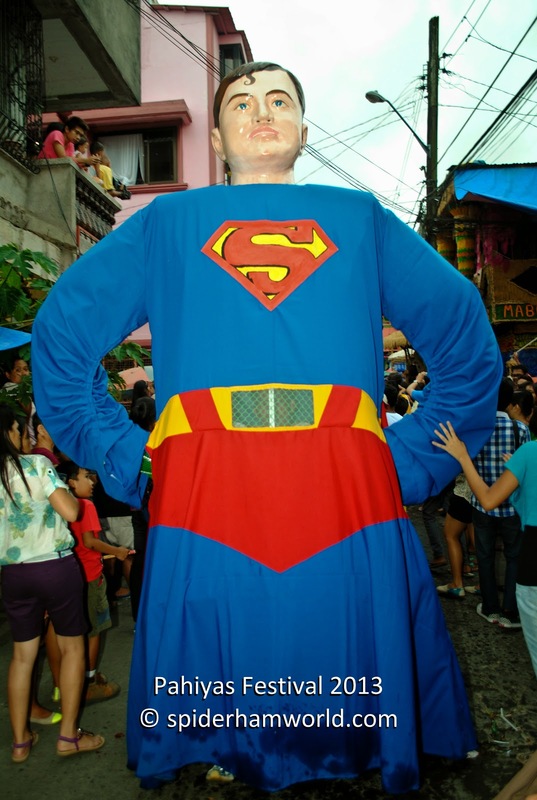 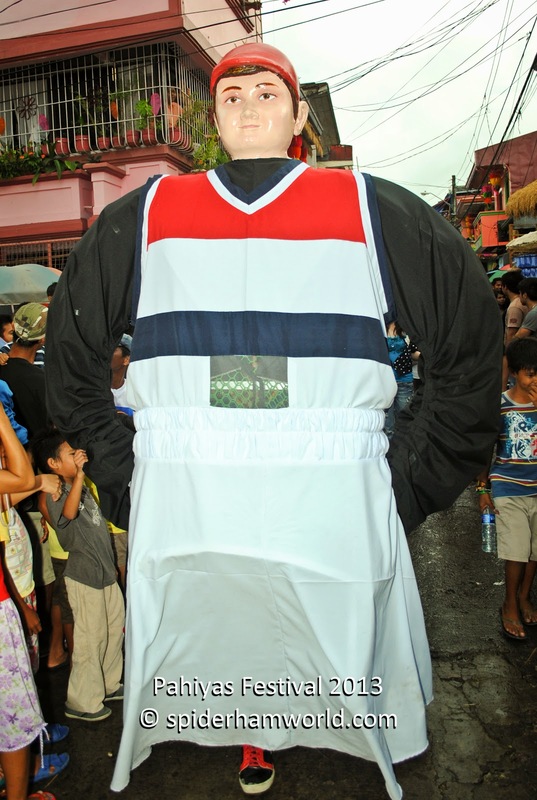 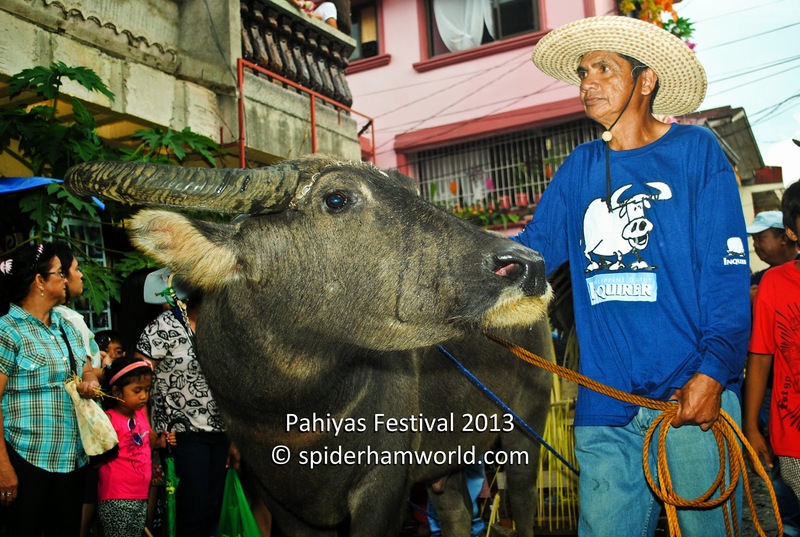 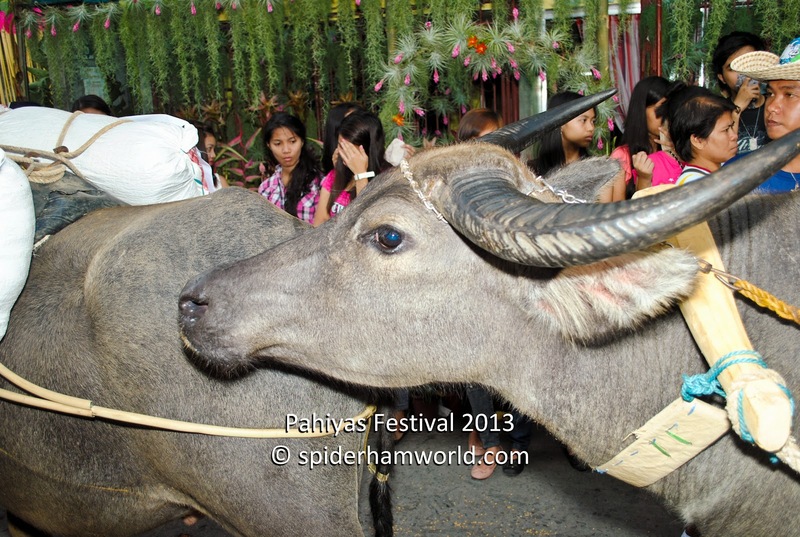 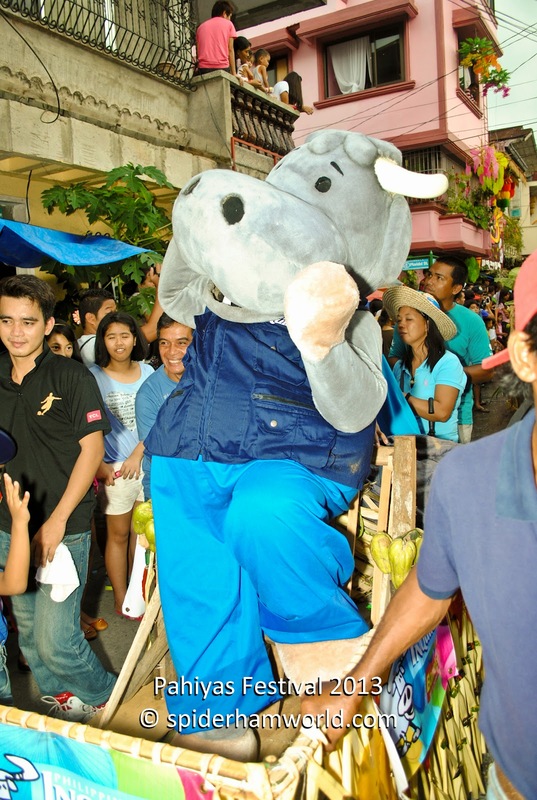 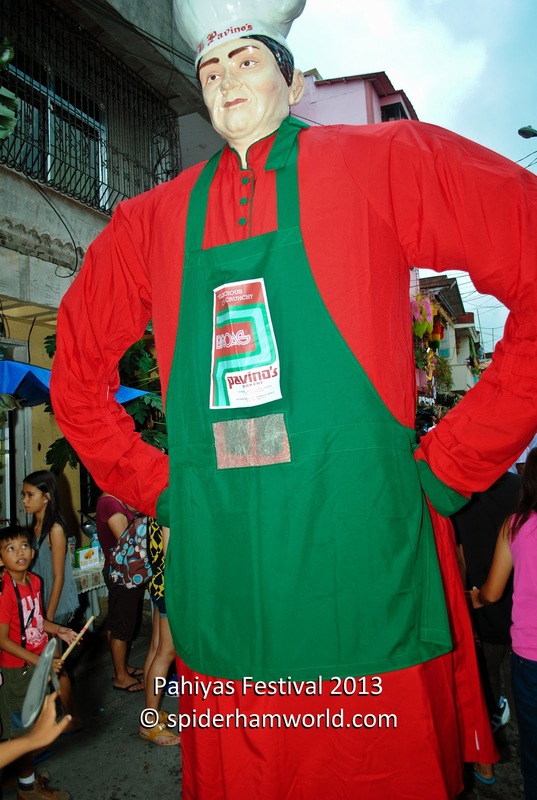 Guyito, Philippine Daily Inquirer's mascot, was the one who headed the carabaos in the parade. 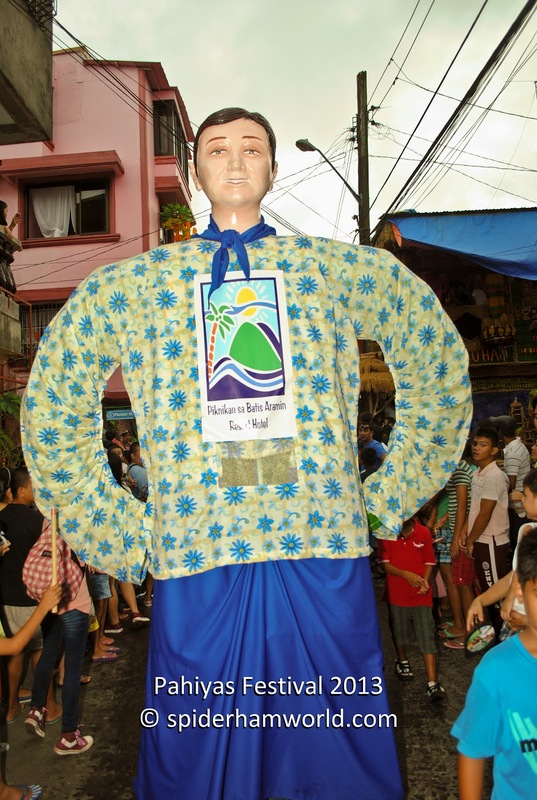 This was the fourth time PDI sponsored the parade known as Bikas-Gayak here in Lucban. 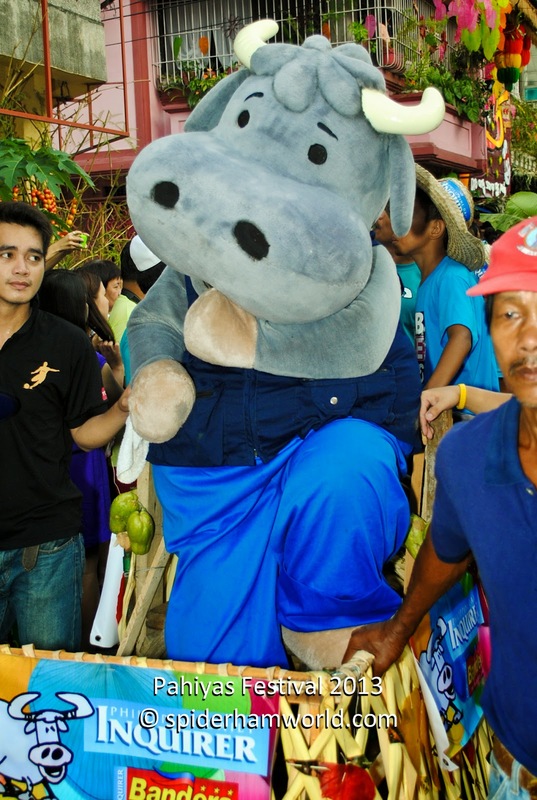 More than 15 carabaos pulled their paragos (wooden sled) filled with fresh fruits and vegetables and some people rode in it. 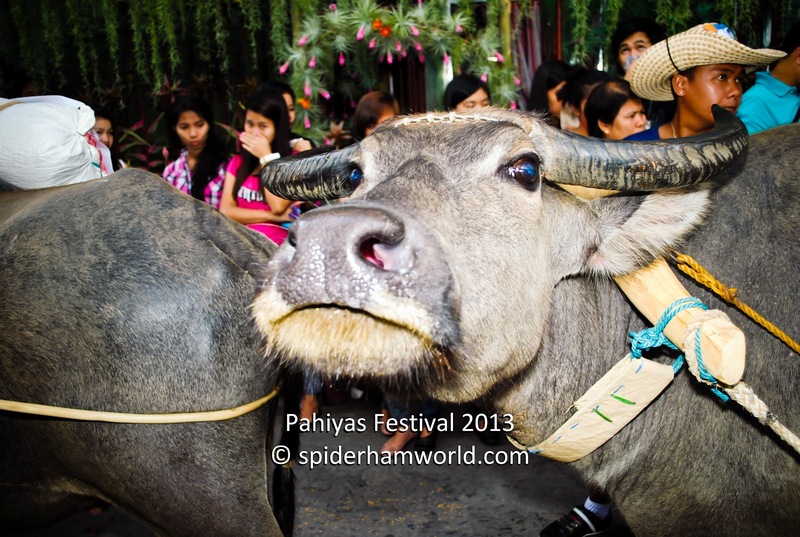 This was my first time to see a carabao with this proximity and be able hold their horn. 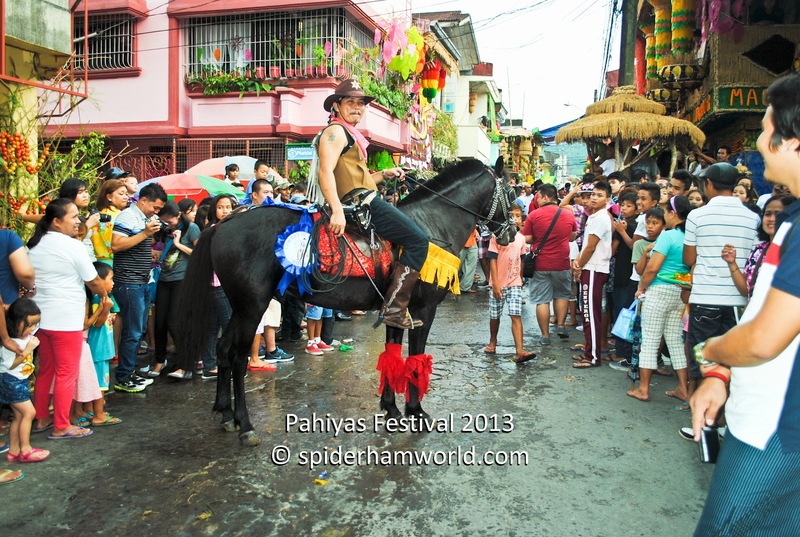 I was able to see Leon Guerrero wannabes who rode their beautifully adorned horses. 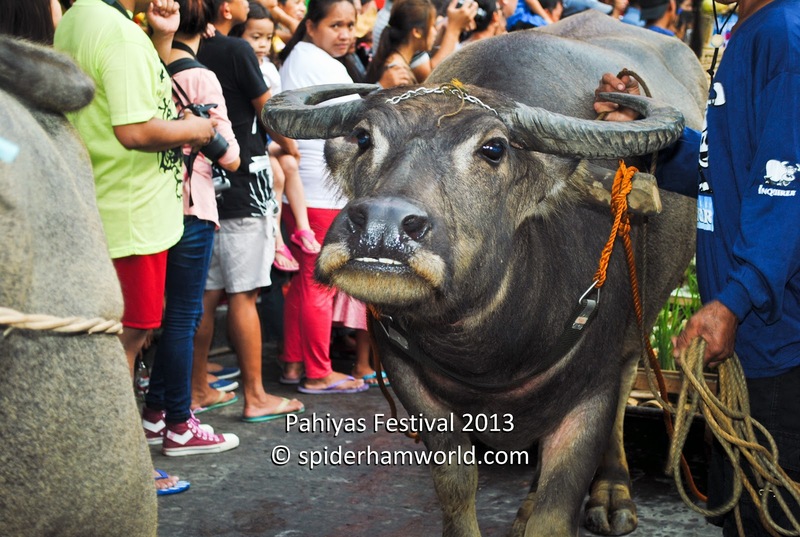 It was kind of scary when te horses passes because it might kick some of the people if agitated. 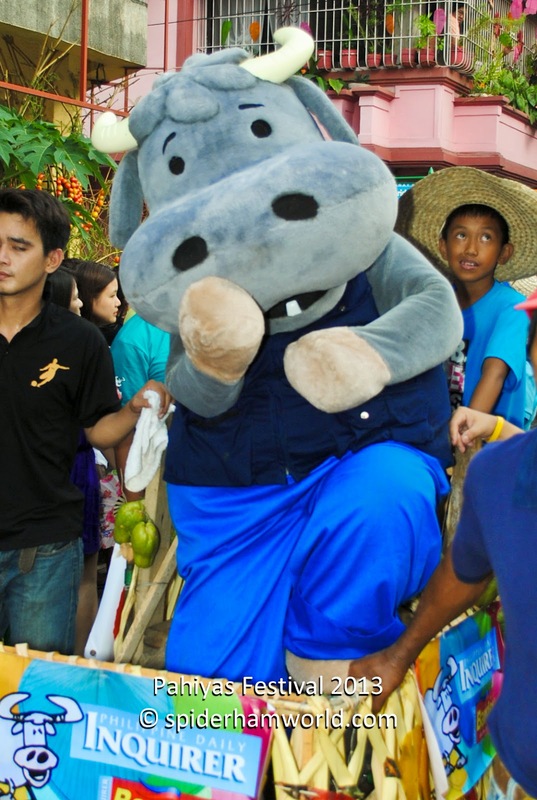 Good thing their riders are able to control them. 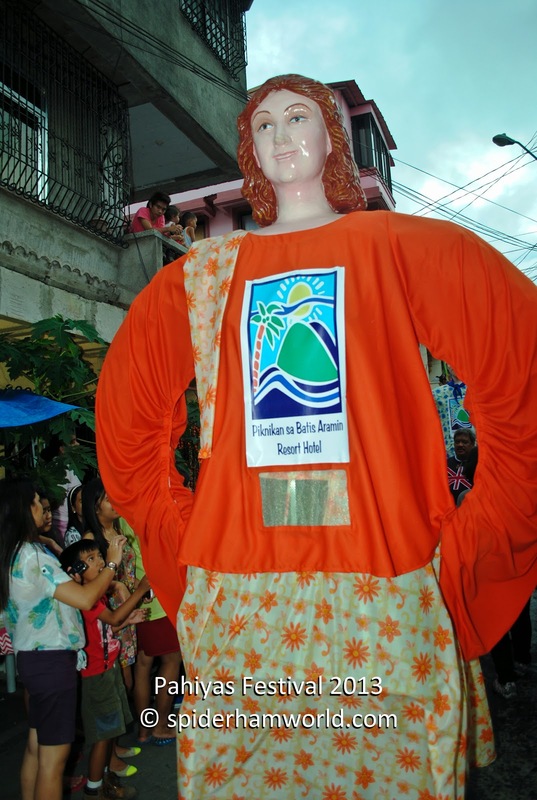 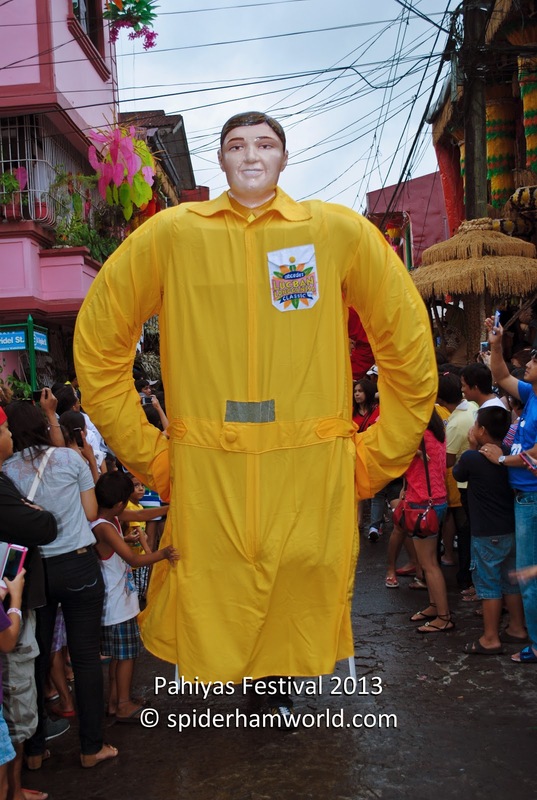 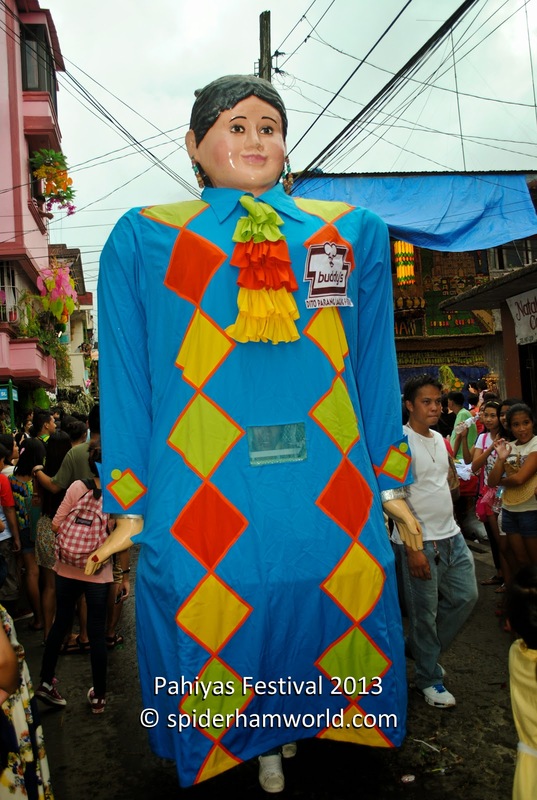 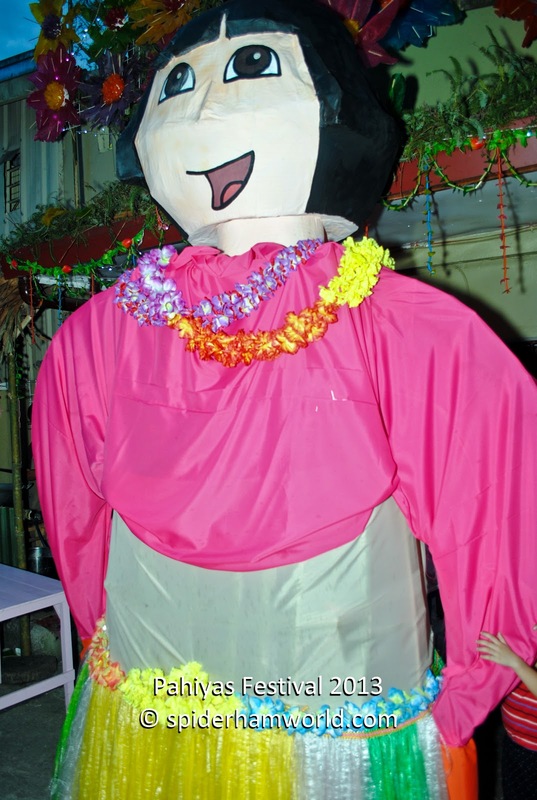 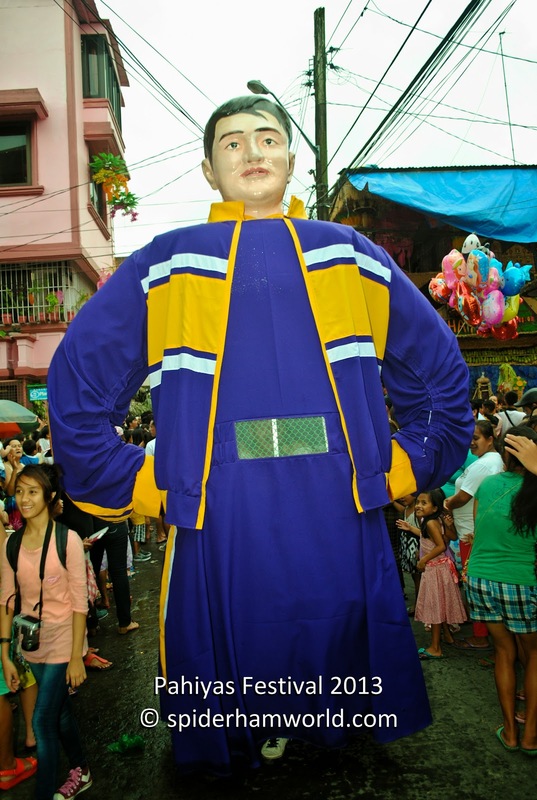 The last part of the parade are the Higantes, giant figures made from paper mache. 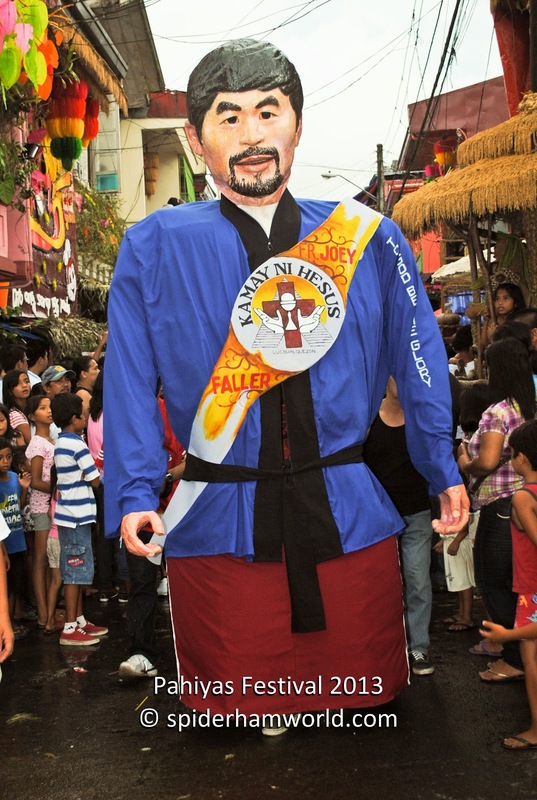 The first one to pass is the higante that looks like Manny Pacquiao. 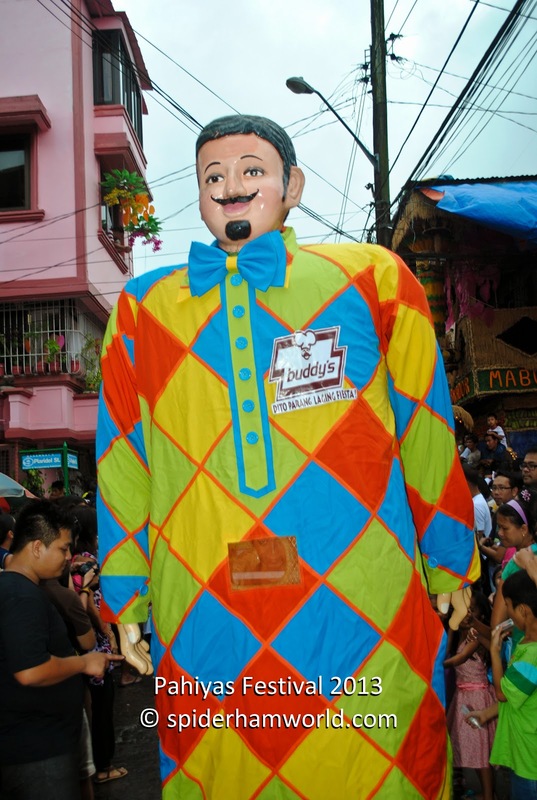 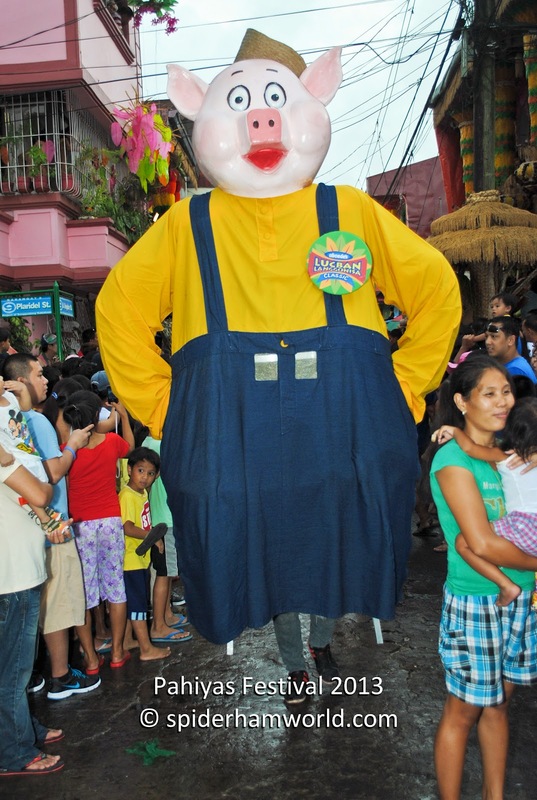 Several characters representing either the local business community or an industry which Lucban is known for. 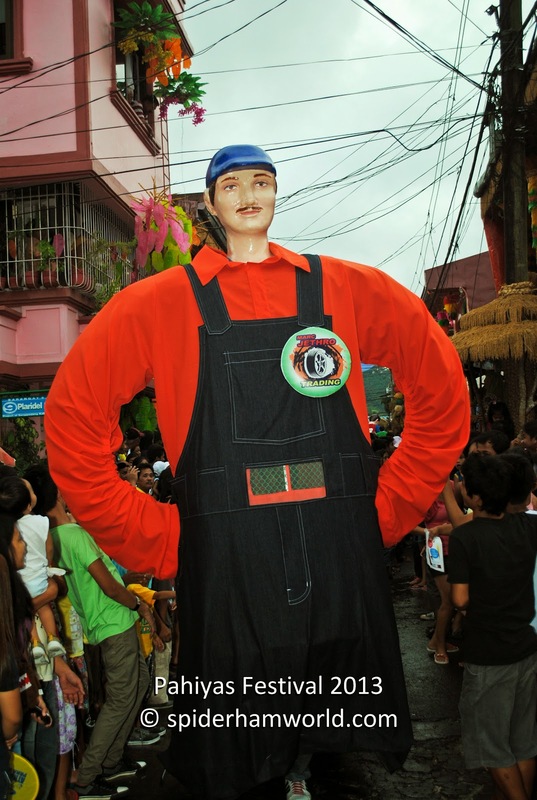 I will say that this parade was one of the best part of Pahiyas feast and it was good that I was able to watch this one this time unlike 2 years ago when we got stuck at the grotto. 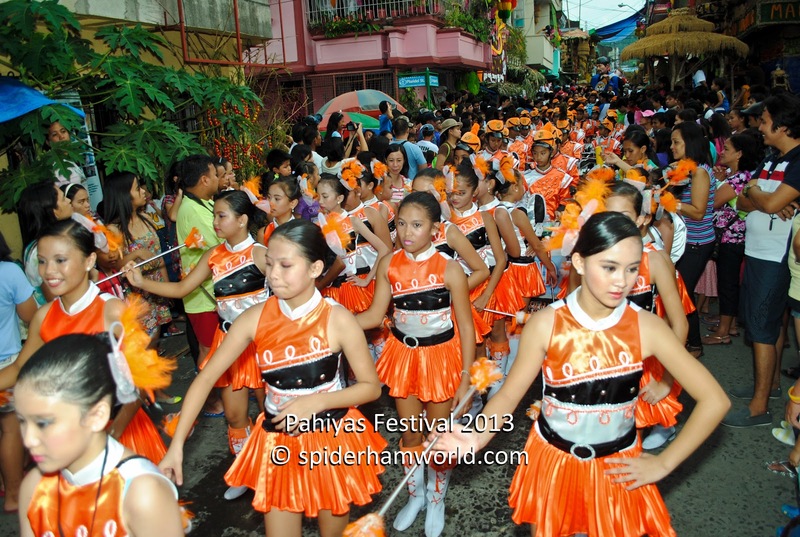 Watching the parade will be definitely always in my itenerary when going to Pahiyas.